Siloxa-Tek 8500 is our favorite product to treat nearly any application. A proprietary blend of silane/siloxanes, this clear penetrating sealer not only prevents deicing salt and freeze-thaw damage, but its hydrophobic nature resists moisture intrusion and vapor transmission. 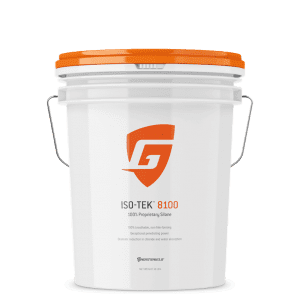 This is the go to choice to seal any concrete, brick, or masonry based substrate especially driveways, sidewalks, basements, patios and garages. 1 Gallon Concentrate mixes with 4 gallons of water to make 5 gallons. For enhanced performance on horizontal concrete surfaces use a densifying primer, wait 7 days and then apply the Siloxa-Tek 8500. I applied this to the stone veneer frontage on my home. I applied this with a large paint brush and put on 2 coats. It was easy to apply, it looks like a white milky substance but dries on clear. Seems to be working and I hope it lasts, it’s has only been around 3 months since I applied it though. Used the Silatek and then used this product to prevent spalling on my driveway in the wintertime. Easy application process, but took a lot longer than I expected since there is a few days wait time between using each product. Applied them both a few months ago and the combination seems to be working well. I have a brick & mortar chimney that was leaking. When heavy rain would fall against the chimney, the water would seep through the mortar and leak into the attic. I sprayed 2 coats (the whole gallon) with a garden sprayer on the chimney portion above the roof and no more leaks. I plan to repeat this each spring. Spent a lot of time researching this product, I needed to seal my driveway but I live in a 55 plus community and the association does not let you apply anything to your driveway that changes the color or the look. The main reason for me wanting to seal it was the leaf staining I always experience as well as excessive mold and mildew. because of this I end up getting my driveway pressure washed every 6 months and it doesn’t last. The company sent me a free sample I tried it on the side of my house, after it dried you could not tell it was there so i purchased enough for my driveway, applied two coats and I haven’t had to pressure wash my driveway in almost 2 years. Excellent excellent stuff I would recommend it to anyone, in fact both of my neighbors did theirs as well and we are all happy. This stuff is great. Very easy and fast to apply. 2 coats were necessary. The biggest unknown is it’s durability. Time will tell. Just tried this product for the first time, I am please with the performance so far (9 moths) but it’s too early to really evaluate longevity. I looked at other reviews of products to seal concrete pool pavers and saw good ratings on this one. The last time I tried to have my pool pavers sealed it was a mess as the contractor tried to apply something with a roller. This time I did it myself. This stuff is great. I used a 3 gallon Echo hand sprayer and applied two even coats on the pavers after pressure washing the pavers. The product looked milky white going on, but dried clear. I would recommend this to anyone needing to seal concrete pavers. This is my first time using this product. It brushes on nice and soaks into the mortar. 2 coats dried fairly quickly. Used this after tuck pointing the chimney and seems to work fine. Easy clean-up. I ordered 20 gallons of this product and was able to apply 2 coats to a 3000 sq. ft. driveway using an airless hudson spray gun. The product went on quick, smooth, and even. After curing for 5 days I tested the product and water beaded on the entire surface as advertised, the appearance was clear and natural just what the customer wanted. My customer was very happy with the results, and so was I as their contractor. It shipped to my front door in 4 days. Can’t beat that for service. Installed a new driveway a couple of years ago and noticed the top was starting to spall. I decided to try this product cause of the warranty and I have to say it does exactly what it claims. It stops the water from carrying the salt into the driveway and it is holding up good. I have not experienced any additional spalling, It has been about a year so time will tell but so far so good (i wished i did it sooner). Have used this product in the past to seal the exterior of a chimney that comes through the ceiling into our sun room. Water was leaching out of the chimney face inside the sun room. Application has lasted, Just resealed again for extra protection, water is no longer entering the chimney face as it use too. Suggest using an airless sprayer with two coats 30 minutes apart. 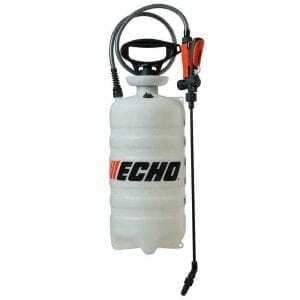 Pump up sprayers use too much product and don’t cover as adequately. This product does a good job and is not very expensive ($69) with free shipping. Used a backpack sprayer and really beads water once dry. I applied one coat of the concrete sealer using the echo sprayer. The concrete was poured 2 years ago and had a cure and seal applied by the contractor at that time but it had worn away. It was recommended that I re-apply a sealer every year or two to keep my concrete in good condition but then I found this product and decided to give it a try because it should last twice or three times that long before reapplying. I have almost two thousand square feet of concrete and the 3 ultra concentrates I ordered was more than enough to complete the project; so the coverage estimate was spot on. It was easy to apply and did not change the appearance of the concrete; just what I wanted, I did not want a high gloss look. Water beads up on the surface and this will hopefully reduce the chance of cracking from water getting into small cracks and freezing and thawing and expanding. Used this on concrete pavers on porch and steps to waterproof and prevent icing damage. Have had several rains since application, and water beading up like a waxed car and sweeps off easily. Much better than previous sealer that I used which did not last longer than 60 days. this was the cheapest place i found the 8500…sold. Easy to apply, fast drying and extremely water resistant. Too early to evaluate long term, but seems to be working. Excellent and multi functional, used on my concrete driveway, brick wall and paver patio! The ultra concentrated option is the best deal on the market and it was easy enough to mix with water. Ghostshield is just as advertised. It easy to apply and dries clear. This product was expensive, but worth the money. I ordered 5 of the ultra concentrated gallons for my 3000 sq ft driveway. I was really looking for the deicing salt protection and the water beading effect. Works as advertised and I have ordered another gallon to do the sidewalks around my home also. Product appears to have done the job. Having the product delivered to my home is a plus. Have used this product before, works great . Did not change the colors after sealing to the point I couldn’t ever tell I had applied the product until the rain bead the next week. Really made the water bead up. I am concerned that we will get ice from these beaded up water spots but was reassured this is not a slippery product. Other than that its great. Good product. I like that is a water based sealer making cleanup much easier. Best to use a sprayer. I’m building a music studio with a 4-foot high brick wainscot wrapped around the building. I read about your product online and decided to use it to prevent water intrusion and resulting freeze-thaw damage. It was applied to all of the brick, with a little spillage on the adjacent concrete slab. Your product is amazing!! I’m looking forward to 5 years of maintenance free waterproof brick!! Thank you! It’s rained several times and the water just beads up everywhere. Used a sprayer to put it on because I have a large driveway. Went on really easy and I love that there is no wet look, its clear. I will use this product again the next time I have to reseal my driveway which hopefully will be years away. This product was rated the best of 2017 and I have to agree. I read about this product online, read all the reviews I could find and thought I would write a review to be as helpful to others as they were to me. I also sent in some photos so you can see what my driveway looks like now – you cant tell a difference before and after until it rain. 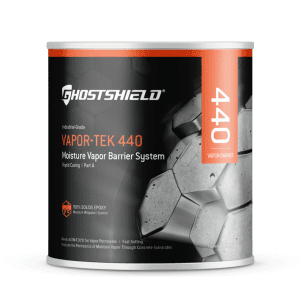 It was between this product and the eagle one which was cheaper, but ultimately I figured you get what you pay for so I went with the ghostshield. And as every other review says, water beads up like on a waxed car! Did exactly what it is supposed to without being too slippery or too shiny. Great product, water is beading nicely; lets just hope it lasts but I have hope because other users have said so. It is true like they all say, water beads like rain-x on a windshield! Product does a good job of repelling water, oil or grease can still stain the concrete wish I had use the 8510. Overall am satisfied with the performance to date as it has been applied for only 4 weeks.